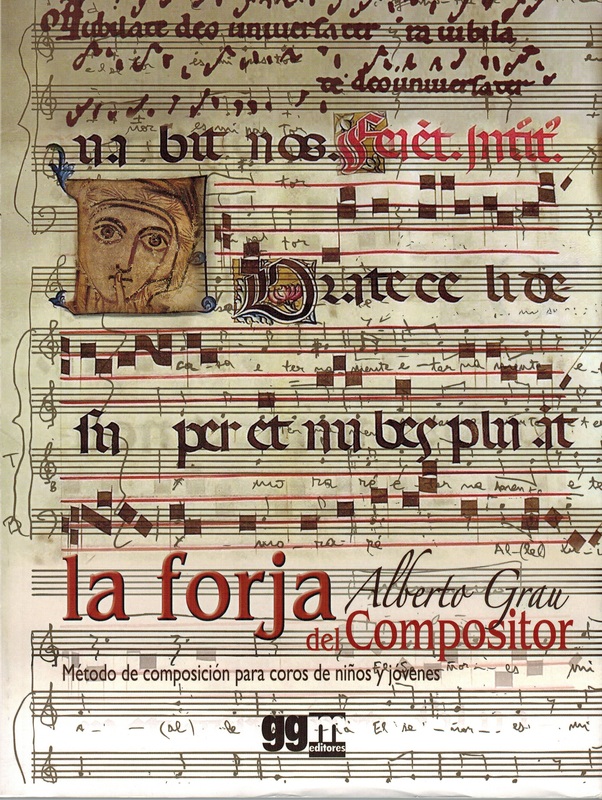 To read La Forja del Compositor (The Forging of the Composer), by Alberto Grau, is to have the feeling of listening to him speak frankly in conversation about his creative and interpretive thoughts on choral music. 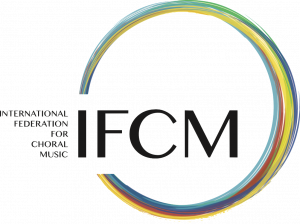 It flows naturally, where subjects follow no fixed structure but are rather treated with complete liberty; some are addressed in a reiterative manner throughout the text in order to consider a new aspect or to relate a topic to other examples or exercises, all in a light, accessible language aimed at the novice composer and the director who has uncertainties in the field of choral composition. The author begins his overview with a statement about the purpose of his compositional method, pointing out that the objective of choral singing for children and young people is to develop in them a love for music through practice as a fun group activity which also provides the benefits of communication, teamwork, self esteem and discipline, as well as promoting thinking logically. Grau highlights the importance of a playful approach to experiencing the fact of music, instead of subjecting the student to long periods of academic study, and for this purpose suggests the use of such resources as eurhythmics, stage movements, irregular beats, dissonances, as well as challenges in interpreting poetic text and its details. Grau shares a number of methodological notes, referring first to technical elements intrinsic to composition, such as imitation, divisi, irregular timing, dissonances, the use of silence, the fermata, the treatment of the text, eurhythmics. Second, thanks also to his vast experience directing chorales of diverse levels and profiles, he is able to offer the young composer keys to the comprehension and knowledge of the instrument from personal experience, having confirmed practically what can be most effective according to the characteristics of types of grouping, and therefore how to write for them. A product also of Grau’s combined role as director and composer are his suggestions for modifying the interpretation of musical notation in order to get closer “to the always sought-after but never achieved perfection” (Grau, 2014, p.145). The book sets out the steps to follow for both composition and arranging. In composition, the author establishes as primary the selection of poetry adequate to the constitution of children and young people, as well as repeated recitation and finding a useful rhythmic combination. Further, he indicates that work should be done on the text-rhythm relationship, even before thinking about melodic or harmonic elements. These, having a close connection, should be dealt with simultaneously. For arrangements, he states that it is necessary first to have a clear understanding of the characteristics of the chosen piece, and afterward, thought should be given to the different effects and rhythmic options, as well as to the eurythmic and choreographic formulas. In La Forja del Compositor, the author explains his ideas in a practical manner, presenting a large collection of examples from seventy-two scores by authors of various eras and latitudes, as well as from his own work. The examples are given in a didactic way, from which it can be noted what is correct and incorrect in the specific use of a particular element. The reader will find choral works for children and young people (mixed, female, and male voices) which will also provide the opportunity for building a repertoire and becoming acquainted with the respective publishers. Additionally, various exercises are presented, some in the form of a workbook. For example, the author makes the invitation to complete imitations or incorporate a second voice, etc. Grau’s use of eurhythmics as a resource for composition deserves a special mention. The great contribution the author has made with his work in this regard is well known, particularly in the field of children’s and youth groups. A part of the book is devoted to the development of this subject, explaining the philosophy at base in the use of movement and the importance of feeling music integrally with the whole body. In this context, the reader will be able to note multiple examples of the use of eurhythmics, learning its levels of difficulty and doing related exercises. The last part of the book, titled Miscellaneous, is a compendium of pertinent citations attributed to three great Hispano-American musicians: Pau Casals (Catalonia), César Ferreyra (Argentina) and Carlos Vega (Argentina), which serve as a synthesis of composition and performance, two indivisible topics to consider in choral art, in that “… just as the separate letters, a,b,c, do not yet form words, written notation in the same way still does not compose ‘music’ ” (Casals in Grau, 2014, p.129). The author’s comments on these quotes plant new concerns in the reader, which invite a continual and personal musical review and a reflection on one’s own artistic work. It is highly significant that a composer of such stature as Alberto Grau should share his legacy of teaching, motivating new generations to venture the necessary work in writing important, innovative works of beauty, which continue to set challenges for the children’s and youth choirs of today.